Welcome to our wreath shop! 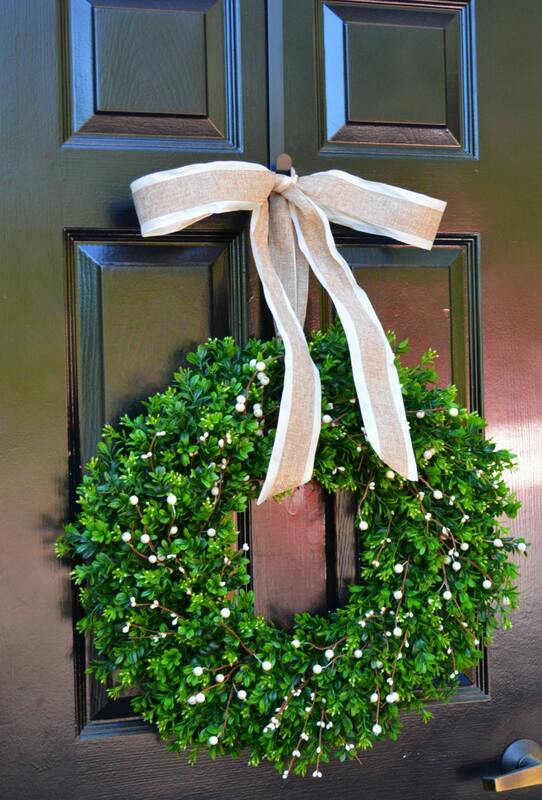 Our wreaths have been featured in Better Home and Gardens Magazine, TV's Extreme Makeover: Home Edition, Southern Living Magazine Home Builders, Nails Magazine, and many other blogs and websites. 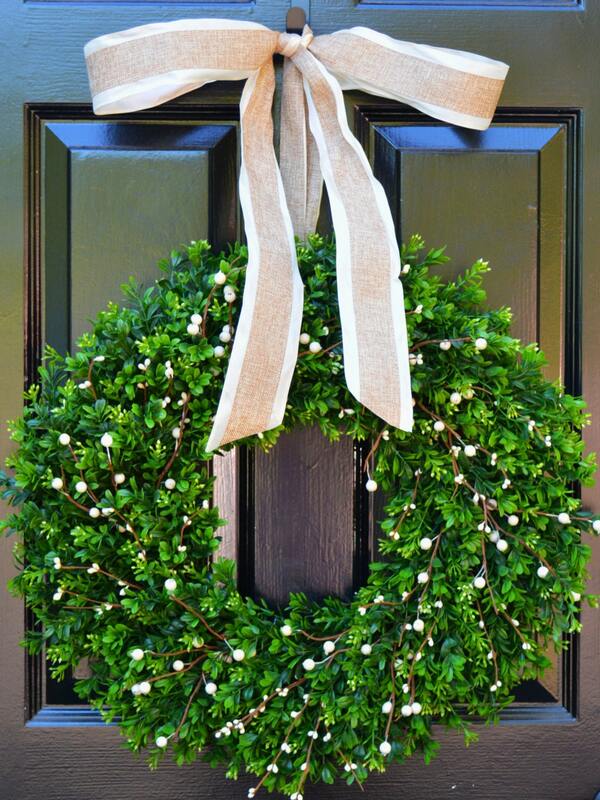 Discover quality, stylish, gorgeous hand-made holiday wreaths at Elegant Holidays! 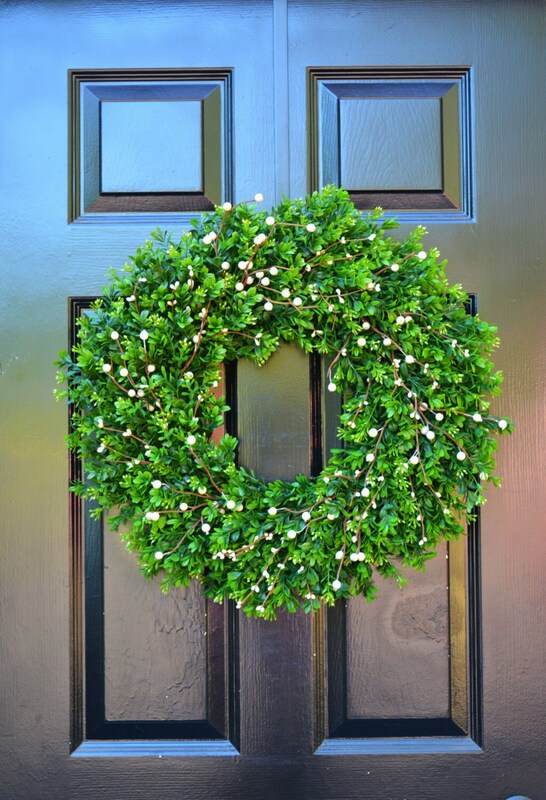 A perfect wreath for all year long! 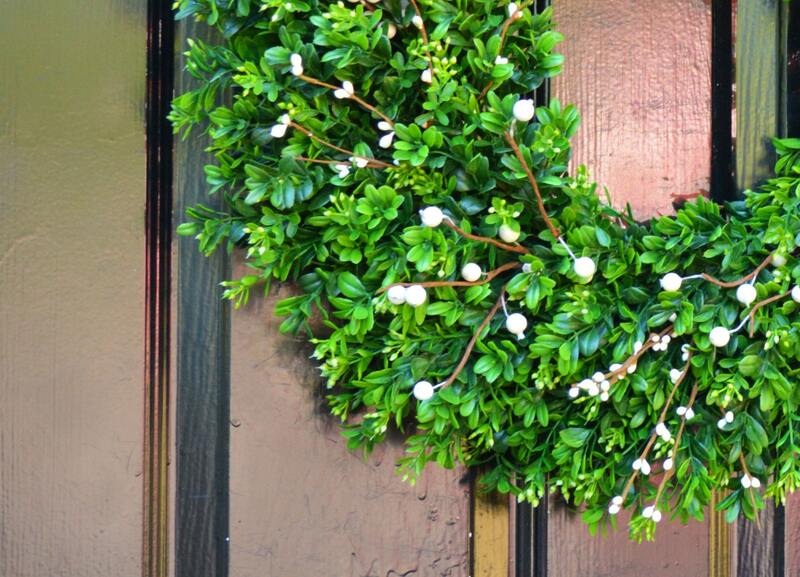 A thin artificial boxwood wreath is adorned with cream artificial berries and option to have it hung with a designer ribbon of your choice. This wreath pictured measures 22 inches across, 3 inches deep and 26 inches high with ribbon. 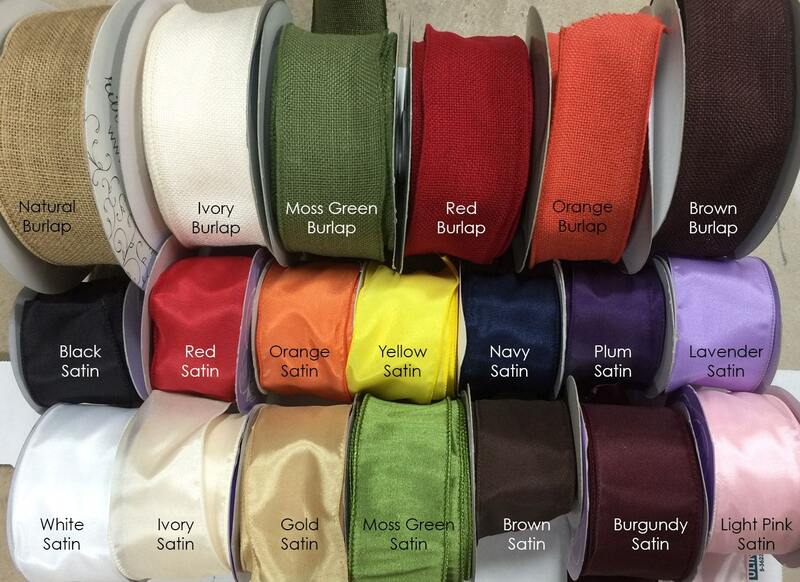 A beautiful, high quality, 2 1/2 inch wired thick ribbon is added to each holiday wreath in your choice of color. Thank you for visiting my collection of seasonal and holiday wreaths!